Sunday Chelverton Road (AF) allocation withdrawn in favour of a WD allocation. Chelverton Road (AF) gained 11RT on the 37 to compensate. AF & X RT allocations replaced by RTL. 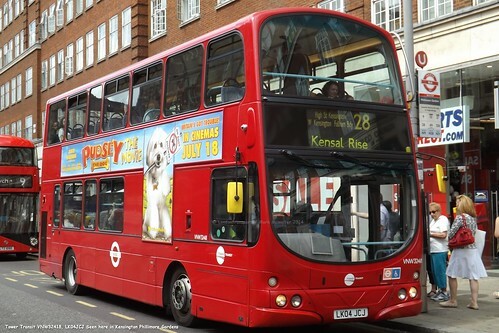 Limited stop journeys between Kingston Vale & Wandsworth converted to normal stopping. AF allocation withdrawn in favour of daily WD. PUTNEY HEATH Green Man (Sunday afternoon) - Tibbetts Corner - West Hill - WANDSWORTH PLAIN - GOLDERS GREEN STN. Sunday X RT replaced by RM allocation. Daily WD allocation replaced by RT. Middle Row garage closed - allocation transferred to Westbourne Park garage. Extended in Wandsworth to the Arndale Centre. 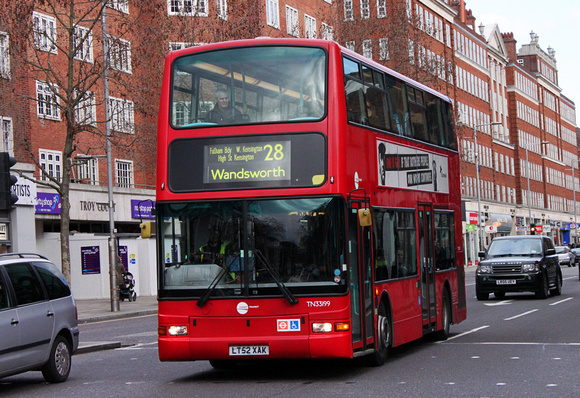 Withdrawn between Harrow Road and Golders Green - replaced by Route 328 Golders Green and Chelsea. Extended from Prince of Wales to Kensal Rise Station which restored a lost link when Route 46 was withdrawn in 1969. Garage journeys leave line of route at Prince Of Wales - Harrow Road observing Route 18 stops and then Ladbroke Grove - Kensal Road to Middle Row.